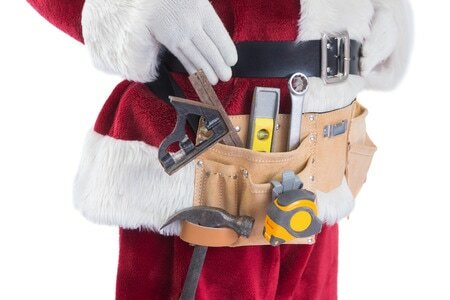 When shopping for gifts this holiday season, keep in mind that new tools are always a good pick for a serious DIY’er. And if you live with that DIY’er, these gifts offer a sly way to subtly encourage improvements and repairs around your household. EHT offers a few gift ideas for the home improver in your life. From ratchet sets and stud finders to track saws and how-to books, you’re sure to find a good pick. 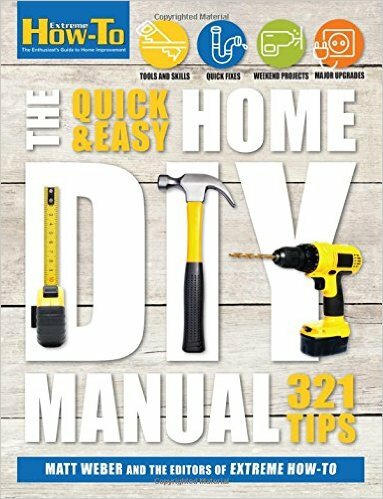 Offering 321 tried-and-true home improvement tips, The Quick & Easy Home DIY Manual makes an excellent gift for a do-it-yourselfer. Extreme How-To‘s first book walks your through basic tool usage and simple repairs as well as weekend projects and major remodeling. Chock full of full-color photos and helpful illustrations, it makes a great go-to guide for homeowners who prefer to put a personal stamp on the house they live in. Pick it up at a fine book retailer near you or purchase online from Amazon.com. The Kobalt Ratchet Set (model #85560) includes: 5/16, 3/8, 7/16, 1/2, 9/16, 5/8, 11/16, and 3/4-inch flexbox ratcheting wrenches. The 72- fine tooth ratcheting end provides 5-deg. of arc swing. The box end pivots 180 degrees providing unlimited leverage and allows access to the narrowest of work areas. The 12-point design helps prevent fastener damage and increases torque. 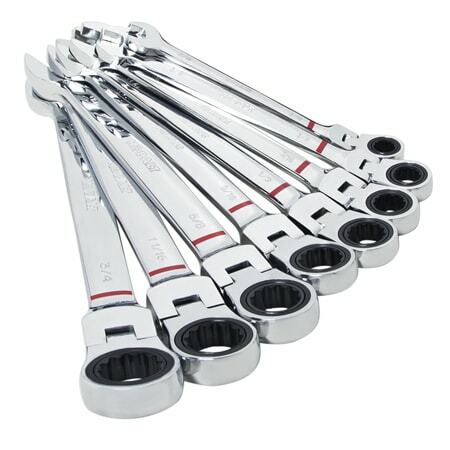 The wrenches are constructed of chrome vanadium steel with a high-polish finish and large easy-to-read size callouts. Visit www.lowes.com. 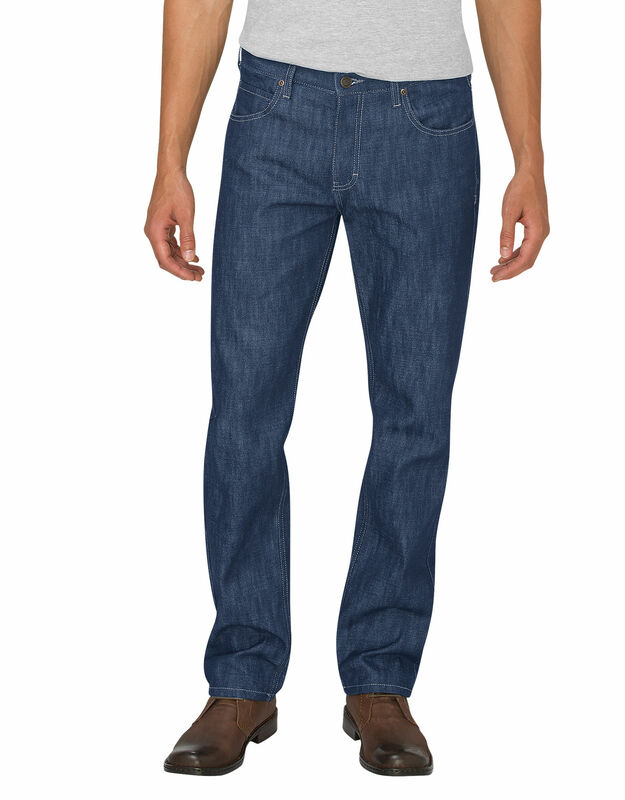 Dickies X-Series workwear/casual jeans are made from 13-oz. denim, 100-percent ringspun cotton that’s soft yet durable and available in five modern finishes. The jeans sit slightly below the waist, with a straight-through seat and thigh, and a straight leg. They feature an extra-durable flat-felled inseam, classic 5-pocket styling, a brass zipper, keystone belt loops, and brass rivets for long-lasting wear. Look for the signature x-stitch on the left leg. Visit www.dickies.com. 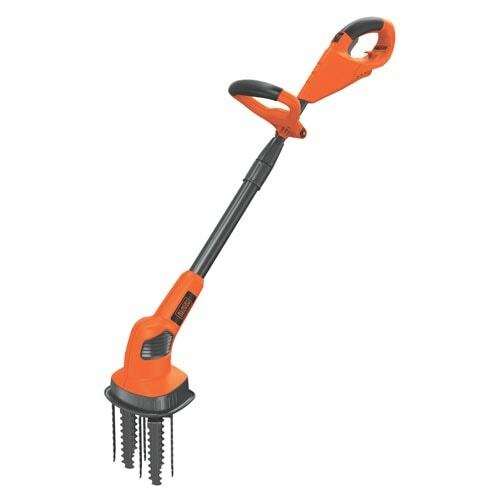 The new Black+Decker Corded Garden Cultivator is an ideal tool to prepare a garden for winter holly. It efficiently breaks up soil to allow water and nutrients to reach plant roots, while counter-oscillating tines prevent weeds from tangling. This fully adjustable, extra-deep cultivator breaks up soil so water and nutrients can reach plant roots. With 50-percent longer tines than the previous model, it weeds thoroughly without tangling and preps beds and bare patches for seeding or planting. It features a lightweight upright design, and a telescoping tube adjusts for maximum user comfort. Visit www.blackanddecker.com. This year doesn’t your favorite DIY’er deserve something they can actually use? Something well-built and durable, and something that is best-in-class, just like them? 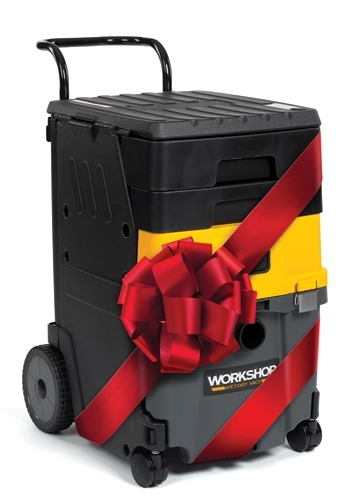 Look no further than the reliable WorkShop WS1100CA. WorkShop tests their motors thoroughly to make sure they are among the longest lasting in the industry, backed with a 5-year limited warranty. The bigger the job the more power that job requires, and the Mobile Vac Station produces that power with 217 max air watts and 127 cfm. This 11-gallon vacuum comes loaded with accessories, and unlike any other vacuum features integrated storage drawers to keep the included tools organized and accessible. Even the 8-ft. contractor-grade hose conveniently stores in the top drawer when not in use. Visit http://BestVacs.WS/11g. Spend less time swapping bits and more time getting the job done. 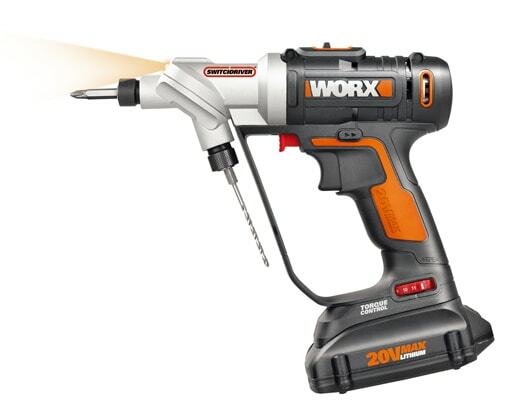 The Worx 20V Switchdriver features two 1/4-in. chucks that rotate clockwise or counterclockwise with the push of a button. Drill a pilot hole and then rotate the second chuck with a driver bit to sink a screw. This 3-lb. drill has a two-speed gearbox and an 11-position electronic clutch. The Switchdriver is powered by a 20V MaxLithium battery and features variable 2-speed gearing to tackle all common drilling and driving applications. Precise electronic torque control prevents the stripping of screws and potential damage to your work environment or materials. Visit www.worx.com. 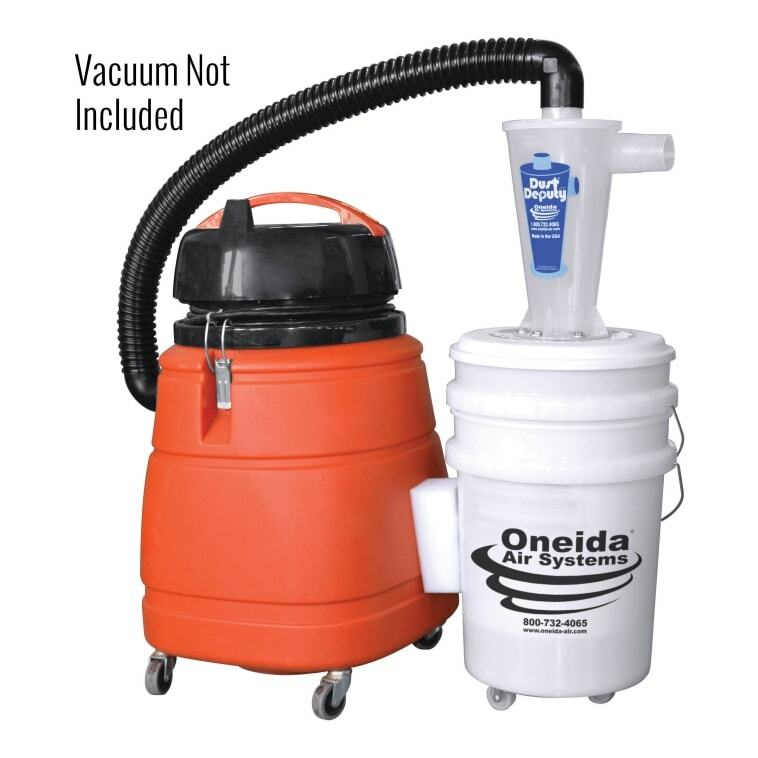 Made in the USA, the Dust Deputy product from Oneida Air Systems helps DIY’ers work harder, longer and safer. The Dust Deputy uses cyclonic action to pre-separate and capture over 99 percent of dust and debris before it reaches a wet/dry vacuum’s filter, reducing the chance of clogged filters and suction loss. It also reduces the frequency of having to empty a heavy, cumbersome vacuum canister. Capturing dust and debris within its own easy-empty bucket, it extends the life of the vacuum’s filter. The Dust Deputy Deluxe Cyclone Separator Kit has a patented design that works with any model wet/dry vacuum. The kit includes a translucent Dust Deputy cyclone and all the hardware needed to attach it permanently to a wet/dry vacuum. Visit www.oneida-air.com. The award-winning Arckit is a creative, freeform model-making system opening up the world of architecture to everyone. 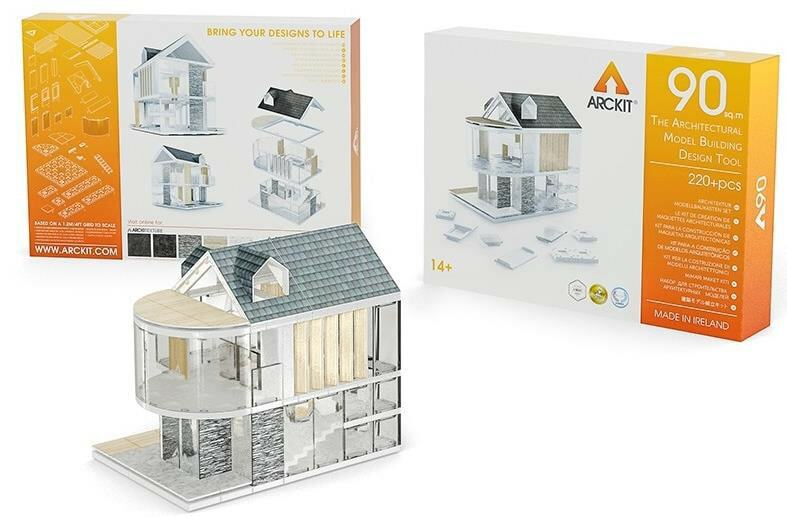 Arckit is a whole new way to spontaneously explore and build scaled structures, bringing architectural ideas to life. Choose from a variety of kits suited for various skill levels. Arckit 90 includes everything model makers need to build a diverse range of impressive structures up to 90sq.m/960sq.ft to scale, including realistic building finishes. Arckit 90 is found at Amazon.com, Marbles: The Brain Store, Mindware, Uncommon Goods and other specialty retailers nationwide. Visit www.arckit.com. The 440 12-in. Straight Jaw Tongue-and-Groove plier made by Channellock is the tool every tradesman or serious DIY’er needs in their toolbox this holiday season. The plier is built to last with a PermaLock fastener, eliminating nut and bolt failure and has patented reinforced edges to minimize stress breakage. The angled, laser heat-treated teeth provide a better, longer lasting grip. It’s versatile, strong and durable enough to pass down from generation to generation. And, it’s fiercely made in Meadville, Pennsylvania. The Channellock BLUE grips offer comfort while the high carbon steel provide superior performance, making it essential for the plumber or handyman in your life. Visit www.channellock.com. Car and auto aficionados love Channellock’s 460 16.5-in. Straight Jaw Tongue-and-Groove Plier. Whether it’s tinkering on a classic car or keeping your family’s minivan in top performing condition, this plier is built to last with all the details you’ve come to know and love from Channellock. The plier boasts the famous Channellock BLUE comfort grip handles and PermaLock fastener to eliminate failure. The legendary strength, coupled with proven design and laser heat-treated teeth means this is a tool parents can pass down to future mechanics for years to come. Each detail is engineered with precision in Meadville, Pennsylvania, so gift givers can be proud to buy tools that are made in the U.S.A. Visit www.channellock.com. Muro provides great solutions for driving screws to help you save time, energy and effort on every job, all while eliminating those hated sore backs and knees normally associated with these tasks. Whatever your job involves—subfloor, drywall, roofing, decking or dock building—Muro has a system for you. Muro fasteners are available for these and other specialty applications including wood to steel or aluminum and exotic hardwoods, with no pre-drilling required on any job. Muro tools boast 150 screws per coil (highest payload in the industry) and have a telescopic handle that adjusts to your specific working height, which are key features that no one else offers. Visit www.muro.com. CanGun makes a great stocking stuffer, selling for under $7. SafeWorld Int’l. 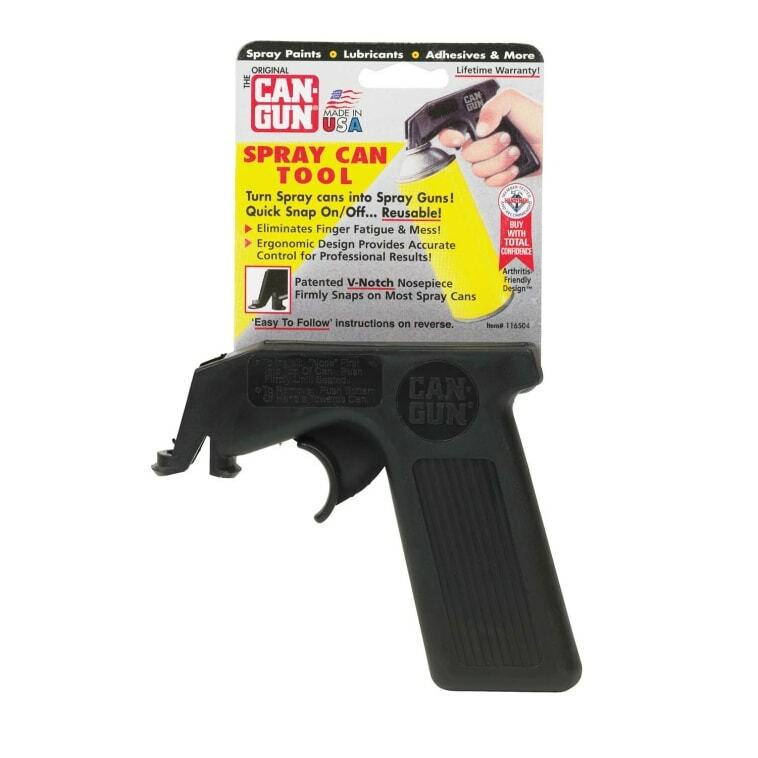 offers the CanGun premium spray can tool that features a FullGrip trigger with a 2.5:1 leverage advantage. 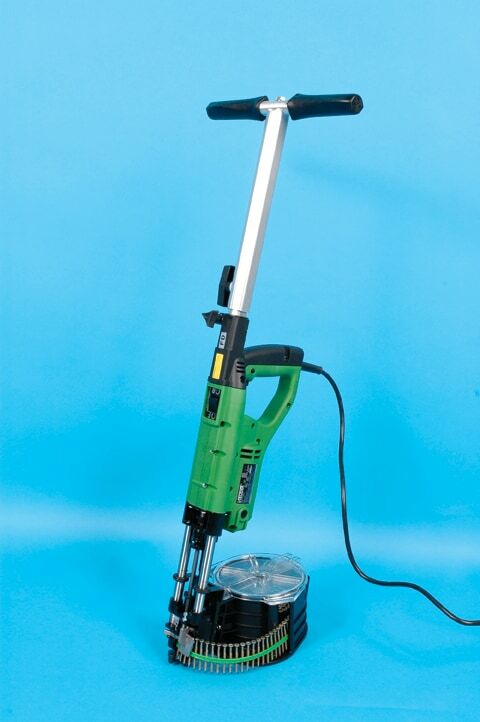 The reusable CanGun makes spraying the contents of virtually all standard spray cans of paint, lubricant, adhesives, etc. considerably easier, while providing professional results every time. The patented pistol-grip accessory easily snaps onto standard aerosol spray cans, transforming them into professional-style spray guns with unprecedented control for hours of effortless, pain-free spraying. CanGun’s exclusive ergonomist-tested and arthritis-friendly design also makes it suitable for use while wearing gloves. Visit www.cangun.com. Add-a-Handle to it all; the uses are endless. Proudly made in the USA and assembled by veterans, this simple tool offers you safety and stability in the most uncomfortable situations. It also offers a practical and portable way to hang things where you wouldn’t normally, like while in the woods or in a Wrangler. 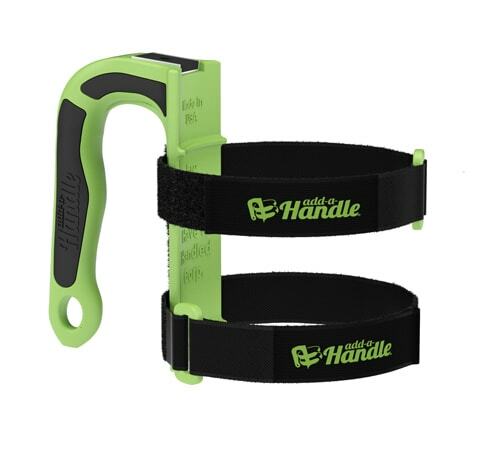 The ergonomic handle design and custom adjustable Velcro brand straps allow you to carry, hook and hold up to 30 lbs. with ease and comfort. Designed with the painter in mind, it offers a convenient magnet on top to hold a paint brush or flashlight. Although Add-a-Handle comes with 19-in. straps, additional lengths are also available, and the straps interlock for a custom fit. Visit add-a-handle.com. 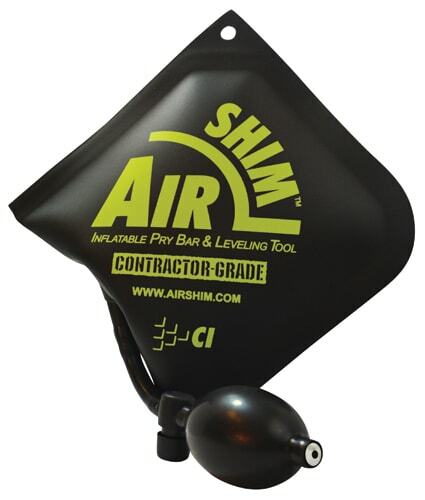 The AirShim is a contractor-grade inflatable air wedge that anyone can use to install and level everything from windows, doors and cabinets to appliances, furniture and countertops. It replaces damaging pry bars and wooden shims and allows a single installer to position and hold items in place, saving time and reducing costs by providing a much-needed “extra hand.” The AirShim is soft so it won’t scratch surfaces, yet powerful enough to raise and hold up to 300 lbs. Professional installers of large, hard-to-level objects who want a faster, more controllable lifting and adjusting alternative to pry bars and wooden shims use the AirShim because it allows a single worker to position and hold items in place. 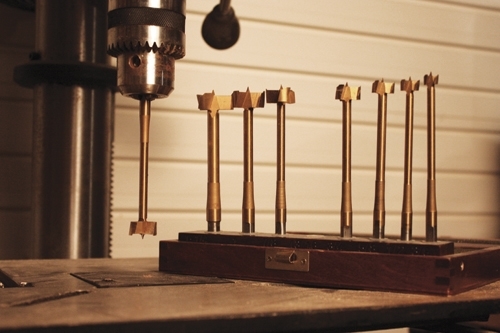 Unlike traditional wooden shims, wedges and pry bars, the AirShim can be adjusted with precision. And, by using multiple AirShims below, above, left and right of heavy objects, you can fine-tune their positioning with easy adjustments from all four sides. Visit www.calculated.com. 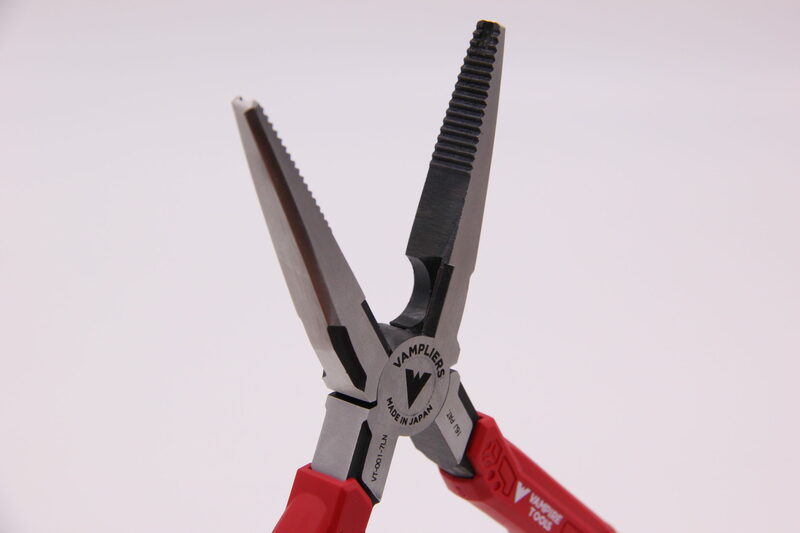 Just grip and turn with the VamPLIERS Long Nose, the newest addition to the patented Vampire Tools family of screw-extraction pliers. At 7.5 in. (190 mm), the Long Nose is ideal for small to medium screws up to 0.22 in. (5.5 mm) stuck in hard-to-reach places. Ordinary long nose pliers have difficulty grasping thin plates or cutting fine wires. Not with the VamPLIERS Long Nose—firmly grasp and easily cut into plates and wires with both horizontal and vertical serrations that bite into any screw head. Made in Japan from hardened Kobe steel, the T-shaped handle and comfortable cushioned grip make sure even the most difficult screws are easily removed with no slippage. Visit www.vampiretools.com. 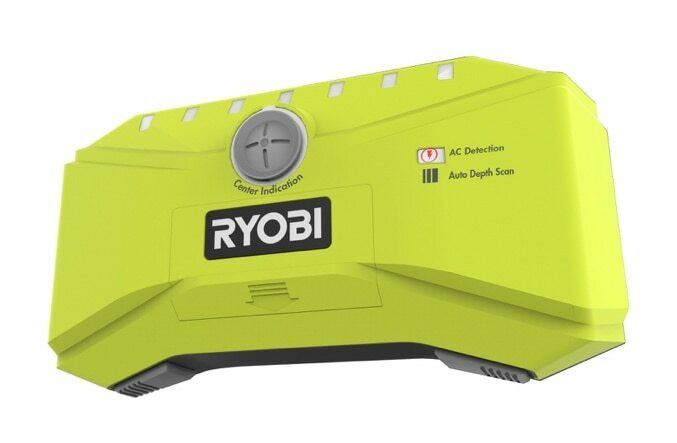 The Ryobi LED Whole Stud Detector (ESF5000) is a great product for detecting whole studs behind your wall. The Exact View with Multi LED’s allows you to see the entire stud and not just an edge or center. It uses Auto Deep Scan, technology designed to determine the thickness of your drywall so you can accurately assess what is behind it. With its material detection capabilities, you will always know when you are over metals (non-ferrous), wood and AC wire. With all these great features, it’s an excellent solution for all your stud-detecting needs. Visit ryobitools.com. This 4-1/2-in. 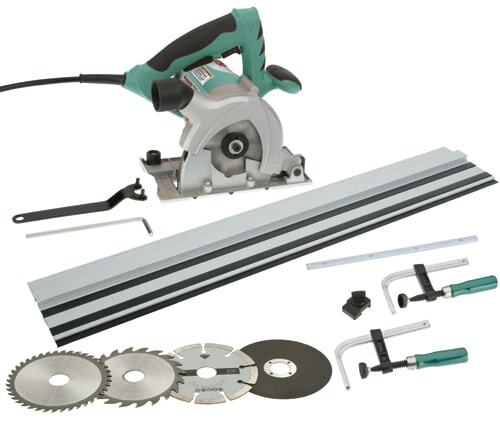 Mini Track Saw is one of the most versatile saws you’ll ever own, and this Super Kit is one of the best deals around. The kit includes four blades, two T10825 24-in. tracks, and the T27044 Accessory Pack (2 rail clamps, rail connector, and a limit stop). The 20T carbide-tipped blade cuts wood and wood-based material (plywood, MDF, OSB, etc.). The 40T carbide-tipped blade cuts soft metals (aluminum, copper, brass, etc. ), melamine panels and plastics. The abrasive blade/disc cuts steel. The diamond-tipped blade cuts tile, slate, brick, stone, concrete, etc. The 24-in. rails have a non-slip backing on the underside for secure grip on the workpiece, and the top of the track features a guide rail that fits directly into the grooved saw bottom, allowing the saw to slide smoothly and precisely along the workpiece in a perfectly straight line. Another awesome feature of this saw is its plunge-cutting action, which allows you to easily make window, electrical, or plumbing cut-outs in panels—without being required to lift and hold the guard out of the way, such as with a regular circular saw. Visit grizzly.com.